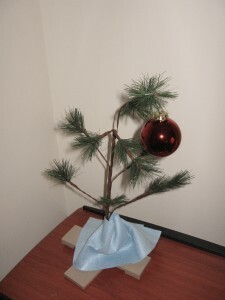 Just set up our Christmas Tree this evening. It took about 5 minutes, and was the most enjoyable and relaxing setup I've ever done of a Christmas Tree. This Christmas Tree is pretty much symbolic of our year thus far, but things are definitely turning around for the better. (And, it plays music too).